Michael Hume's grandparents have run away for a holiday in Christmas Town. 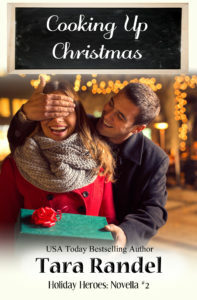 Bribed, blackmailed, and under deadline pressure, he wants to make this Christmas count. 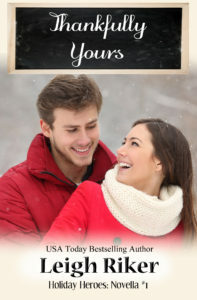 He hires interior designer, Lacey Dickens to make it magical, and she hopes it's magical enough to make this whole family want to stay forever. 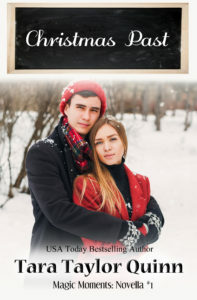 When free-spirited interior designer Charlotte Powell agrees to give stuck-in-the-mud scientist Grant Carver's orphaned niece and nephew the perfect Christmas, craziness--and romance--ensues! Sound and light engineer Gavin Elliot is a bit of a loner who agrees to dog-sit his friend’s vocal St. Bernard while he’s deployed. Amelia Lawson is a veterinarian who’s better with animals than people. What better way to bring them together by New Year’s Eve than with a dog who seems to be talking? 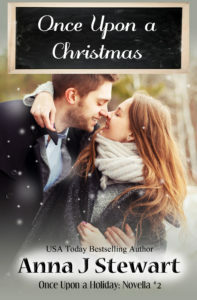 Asher Kincaid, a wounded former Navy SEAL, is not the man he used to be, and he doesn't plan to stay long in Christmas Town, Maine. He'll check out his family's rundown ski resort then put it up for sale. He'll be gone by Thanksgiving. 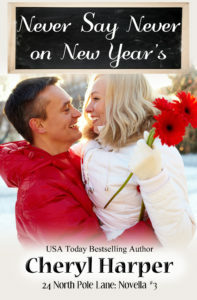 But instead, Ash decides to renovate the property--and soon clashes with pretty Jill Morgan, a widowed kindergarten teacher who lost her husband at Blue Spruce Mountain. Jill would rather see the resort burn to the ground. Maybe then she could be free of her poignant memories. But as the renovations continue in spite of her objections, and Blue Spruce comes back to life with the help of Ash's two friends, she can't deny her new feelings for him. 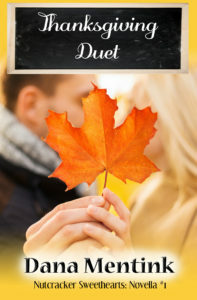 Jill didn't expect to find love again--certainly not in this place--but will she and Ash both have something to celebrate on Thanksgiving Day? The kitchen heats up when resort manager Gabi Fortier goes toe-to-toe with chef Simon Tucker. Emily Hayes tucked Christmas Town in her past and never intended to return. 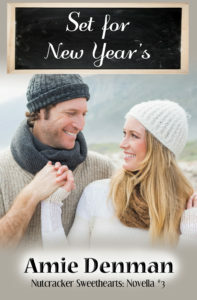 But her brother's New Year’s Day wedding has brought Emily home. Her plans are simple: one week of rest from her hectic life as an ER nurse in some of the nation’s busiest cities. One week of cursory family time with her brother and his soon-to-be extended family. One week to avoid any walks down memory lane. 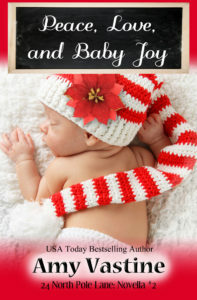 She’d survived her childhood, surely seven days in Christmas Town wouldn’t touch her heart. 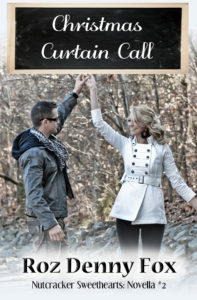 But Emily never prepared for the power of her five year old nephew or the impact of former Navy Seal, Zach Evans. Emily never prepped herself for her heart wanting to step out of lock down and open up, not to Christmas Town and certainly not to a man she’d only just met. And staying in Christmas Town was never part of the plan. It’s a countdown to her departure versus a countdown to love. Now Zach needs to convince Emily to listen to her heart before the clock runs out. 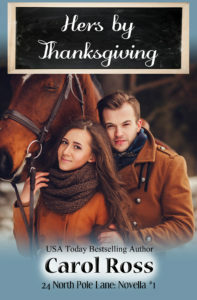 Horse trainer Andrea Talbot has no choice but to steal her horse from stable owner CJ Haverford, but what happens if CJ steals her heart first? The Warrens and Bakers have battled it out in the annual Christmas Lights Competition for years. They have a long history of sabotage, idea stealing, and one-upping that has led to a family rivalry reminiscent of the Capulets and Montagues. Valerie Warren and Lucas Baker had thought the news of their elopement would bring their warring families together, but the rivalry ended up tearing them apart. Eight months after signing their divorce papers, Valerie returns to Christmas Town revealing a secret that could change everything this time. Little does she know, she’s not the only one who’s been keeping things from her ex. Lucas has a secret of his own to tell. Starting over is never easy. 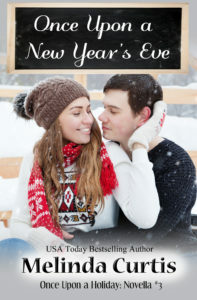 When Ren Monroe's London design dream falls apart, returning to Christmas Town, Maine, is easier than she feared, thanks to the help of an old friend and his teenage daughter. Having stylish, sharp Ren around gives Chris a good reason to examine his dull life and even duller wardrobe. One midnight kiss makes it clear to them that both love and friendship can be sweet the second time around. 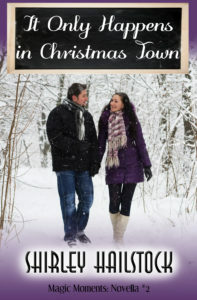 What do you do when you live in Christmas Town, Maine, and don’t believe in Christmas or faith or magic? You become their sheriff and protect the town so that her people can have their fantasy. What happens when a three-year-old child goes missing right before Christmas in this town you’ve sworn to protect? You do whatever it takes to find her and bring her home. Even if the only lead you have is a gypsy empath you have reason to mistrust? Suffering from grief a year after losing her fiancé, Whitney Emerson is startled when a strange gypsy in an empty restaurant plops down across from her. It was a hot June day and she tells Whitney that she has two things for her and Whitney must complete them by Christmas. Then she leaves a note and disappears. 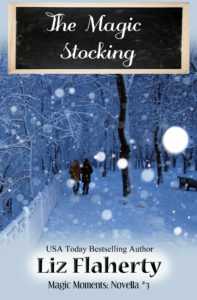 When Ellie Griffith comes to Christmas Town, Maine, to sell socks, her overachieving family accuses her of running away and extending her lifelong habit of never finishing anything she starts. In her heart, broken by being left nearly at the altar, she thinks they’re probably right, but she has to try one more time. The last thing she wants to do is meet a man. Patrick Nolan, the seasick-prone, dyslexic son of a fisherman and a librarian, owns a Christmas tree farm outside of Christmas Town. He’s grown used to being the family disappointment and loves the direction his life has gone. He’d like to have a family of his own, but his history of rushing into relationships has left him gun-shy about love. But then the manager of the new sock store slips on the ice right in front of him. Maybe, just maybe, the stories of magic in Christmas Town are true. Conductor Pippa Lewis is in over her head. A new arrival to Christmas Town, Maine, she's the last minute replacement to lead the orchestra for the town's production of the Nutcracker. What's more, she's not exactly brimming with Thanksgiving cheer as she struggles to raise her deceased best friend's little girl. Bodie Stark has his own troubles. The rugged ex soldier felt like a dad to a little boy who was stripped from his life. The last thing Bodie wants is to fall in love with the flame haired Pippa and her precious charge. That's fine with Pippa since she plans on leaving Christmas Town as soon as the last note is played. But Thanksgiving has a way of bringing people together and this holiday will find Pippa and Bodie coming together in the duet of a lifetime. Newspaperman, Connor Adams promised to pay Giselle Pascal's salary, but his unexpected financial woes threaten town's production of the Nutcracker. 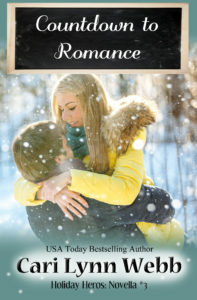 When Jenny Roberts moves to Christmas Town, Maine, she wants to put her mistakes in love behind her. She pours her heart into sewing costumes for the local production of The Nutcracker Ballet, but she can’t ignore the quiet carpenter building the sets. Neil Minor constructs elaborate props for the show, but the most important thing he builds is a future with a seamstress who steals his heart.